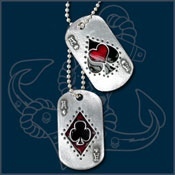 Pair of enamelled dog tags for the luckless gambler! Ornately decorated ebgraved reverse reads: "Tough Luck"!! 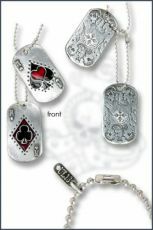 On 2.4mm ball chain.